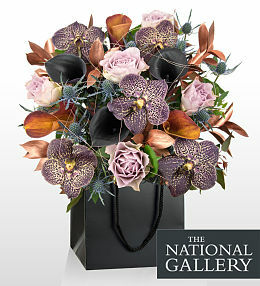 In partnership with The National Gallery, Prestige Flowers is proud to present our most luxurious art-inspired range of flower arrangements. 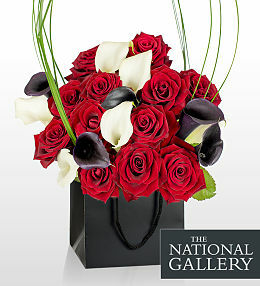 Each of the bouquets in this category represents a famous work of art by some of the most influential artists of all time. 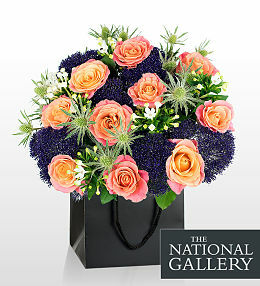 Our florists have selected the flowers and foliage in each arrangement to reflect the colours and textural elements of each painting. 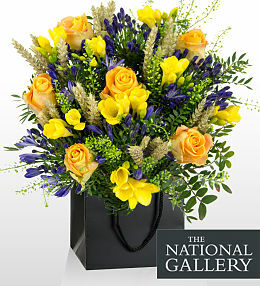 So often in life, we pay tribute to nature&apos;s beauty through art. 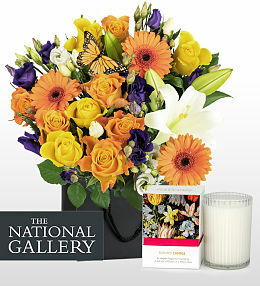 With this range, we honour magnificent works of art through fresh flower arrangements. 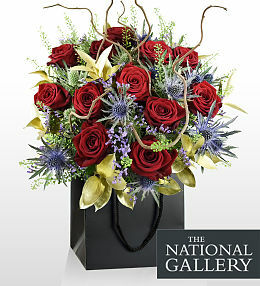 From Monet and Van Gogh to the one and only Da Vinci, we have a wonderful selection of art-inspired flower arrangements to choose from. 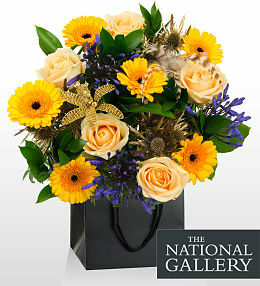 These art bouquets make the perfect gift for all occasions and they are sure to impress! 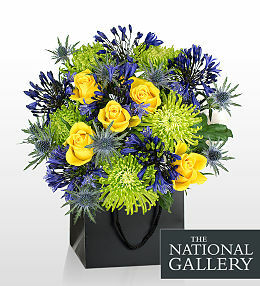 Just as these fine works at The National Gallery are beautifully displayed, so too are our National Gallery flower arrangements. 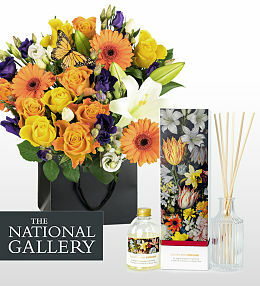 Each of which comes in a stylish gift bag for the perfect presentation. 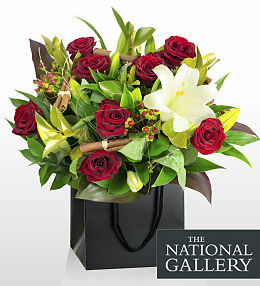 Prestige Flowers has partnered up with The National Gallery to proudly present a luxurious range of flowers to complement some of the galleries most famous paintings. 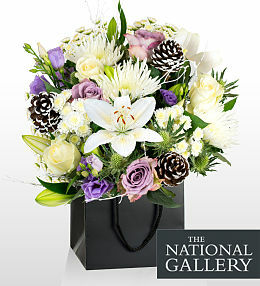 For next day flower delivery, simply place your order before 9pm GMT. 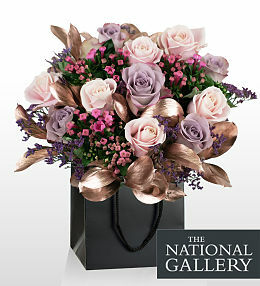 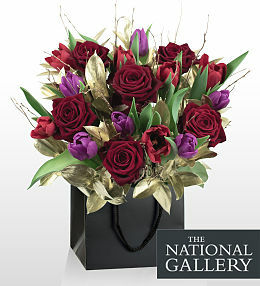 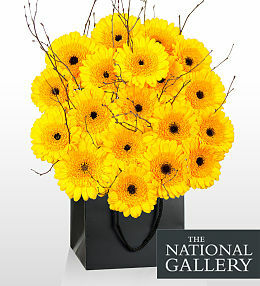 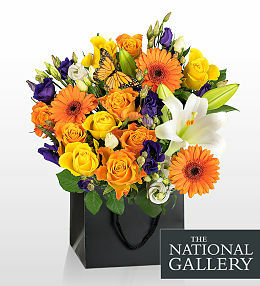 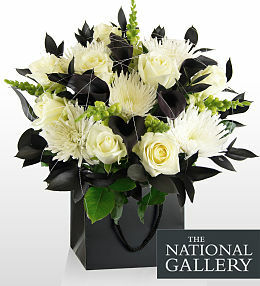 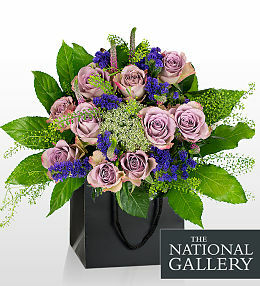 Our National Gallery flowers are perfect for any occasion and are guaranteed to impress your recipient.